Threats to your IT infrastructure (AWS accounts & credentials, AWS resources, guest operating systems, and applications) come in all shapes and sizes! The online world can be a treacherous place and we want to make sure that you have the tools, knowledge, and perspective to keep your IT infrastructure safe & sound. 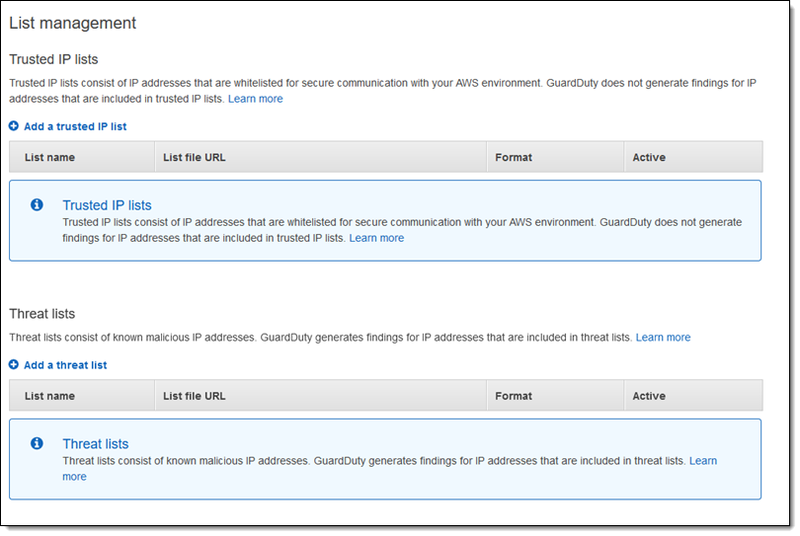 Amazon GuardDuty is designed to give you just that. Informed by a multitude of public and AWS-generated data feeds and powered by machine learning, GuardDuty analyzes billions of events in pursuit of trends, patterns, and anomalies that are recognizable signs that something is amiss. You can enable it with a click and see the first findings within minutes. GuardDuty voraciously consumes multiple data streams, including several threat intelligence feeds, staying aware of malicious IP addresses, devious domains, and more importantly, learning to accurately identify malicious or unauthorized behavior in your AWS accounts. 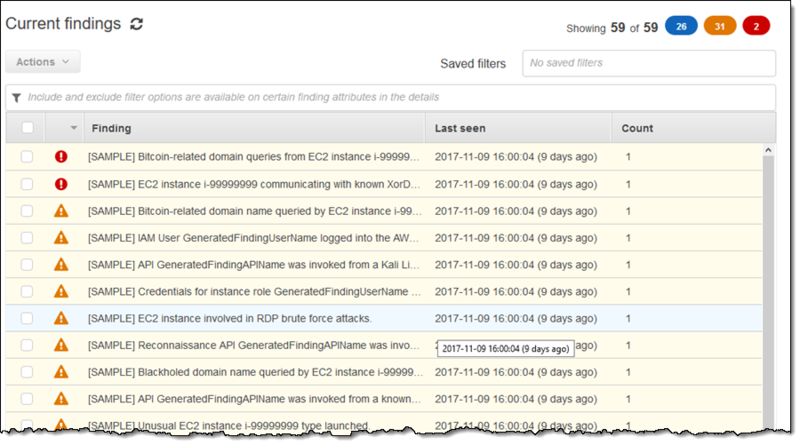 In combination with information gleaned from your VPC Flow Logs, AWS CloudTrail Event Logs, and DNS logs, this allows GuardDuty to detect many different types of dangerous and mischievous behavior including probes for known vulnerabilities, port scans and probes, and access from unusual locations. 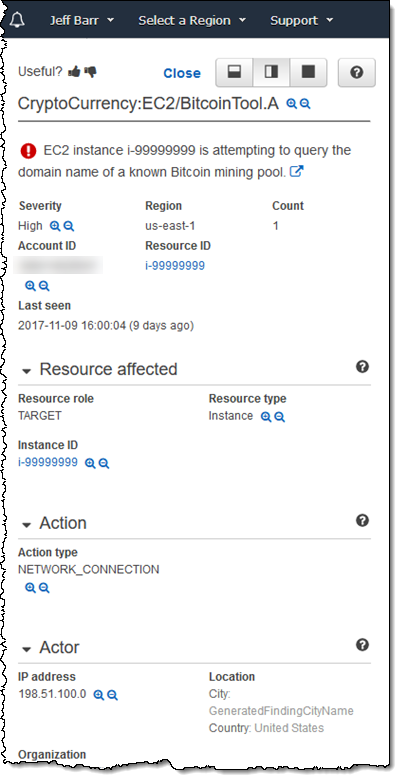 On the AWS side, it looks for suspicious AWS account activity such as unauthorized deployments, unusual CloudTrail activity, patterns of access to AWS API functions, and attempts to exceed multiple service limits. GuardDuty will also look for compromised EC2 instances talking to malicious entities or services, data exfiltration attempts, and instances that are mining cryptocurrency. 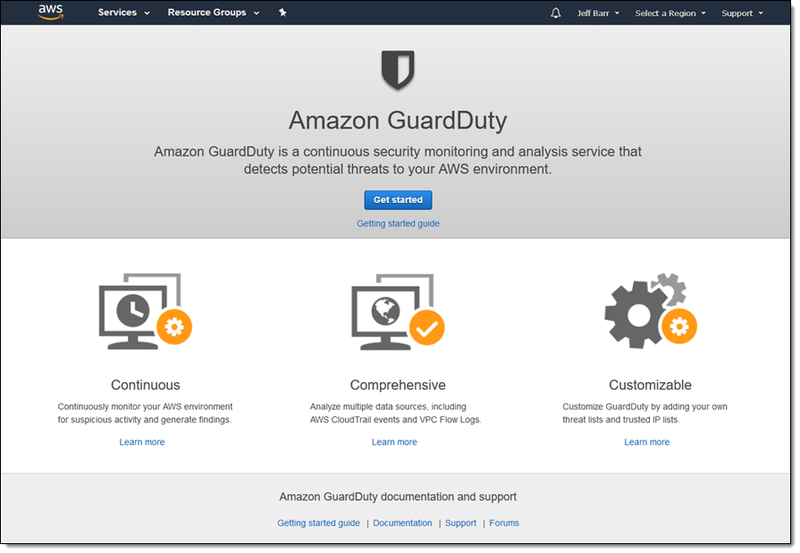 GuardDuty operates completely on AWS infrastructure and does not affect the performance or reliability of your workloads. You do not need to install or manage any agents, sensors, or network appliances. This clean, zero-footprint model should appeal to your security team and allow them to green-light the use of GuardDuty across all of your AWS accounts. Findings are presented to you at one of three levels (low, medium, or high), accompanied by detailed evidence and recommendations for remediation. The findings are also available as Amazon CloudWatch Events; this allows you to use your own AWS Lambda functions to automatically remediate specific types of issues. This mechanism also allows you to easily push GuardDuty findings into event management systems such as Splunk, Sumo Logic, and PagerDuty and to workflow systems like JIRA, ServiceNow, and Slack. Once the accounts decide to participate, GuardDuty will arrange for their findings to be shared with the administrator account. I’ve barely scratched the surface of GuardDuty in the limited space and time that I have. You can try it out at no charge for 30 days; after that you pay based on the number of entries it processes from your VPC Flow, CloudTrail, and DNS logs. Amazon GuardDuty is available in production form in the US East (N. Virginia), US East (Ohio), US West (Oregon), US West (N. California), EU (Ireland), EU (Frankfurt), EU (London), South America (São Paulo), Canada (Central), Asia Pacific (Tokyo), Asia Pacific (Seoul), Asia Pacific (Singapore), Asia Pacific (Sydney), and Asia Pacific (Mumbai) Regions and you can start using it today!